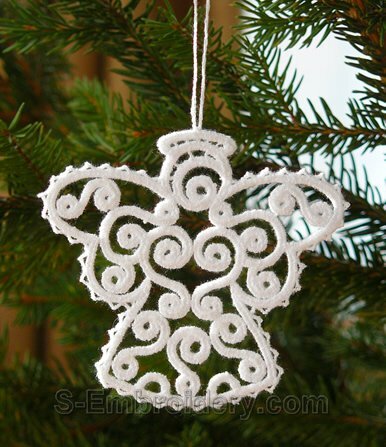 This delicate free standing lace Christmas angel ornament is available in 2 versions - a Christmas tree ornament with a loop for hanging and an a decoration for custom hand-made Christmas greeting cards. 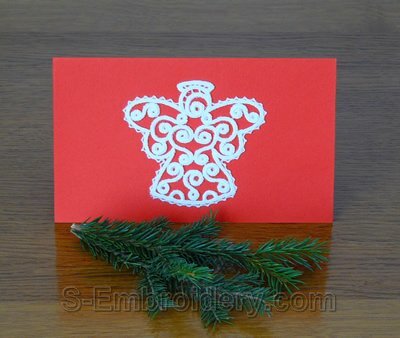 Both versions will fit in 4x4 hoops. 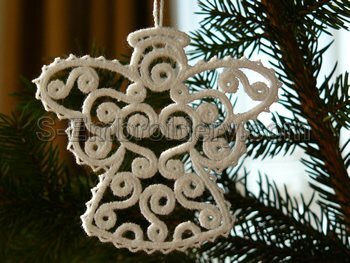 You receive 2 machine embroidery files in one of the supported formats and PDF files with design information and instructions for creating the lace Christmas ornaments.